The growth of neurilemmomas is most common in adults, and the tumors can affect a wide variety of nerves. The neoplasms are most common in the head region, accounting for approximately 6 to 8 percent of all primary intracranial tumors. Of the cranial nerves, the eighth nerve is the most frequent origin of neurilemmomas. The tumors generally respond well to local resection and recurrence is rare. 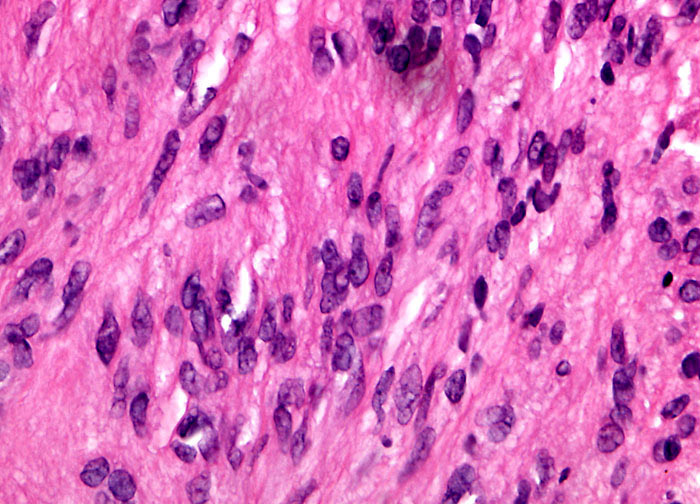 A few reports of malignant change have been documented, but such transformation is considered highly unusual for this type of tumor.